It's way too early to start speculating about the Class of 2017 for the WWE Hall of Fame, but here I go. When I first started doing the Famer Friday posts it was to advocate for the men and women of the mat wars that I feel deserve to be inducted. Then I changed it up to reminisce about current inductees. Today I'm back to someone I think should go in sooner rather than later. The Honky Tonk Man was one of the first bad guys in wrestling that cheered. When he first appeared on WWF TV in 1986 he was a good guy. I barely noticed him and actually thought he was kind of goofy. Apparently millions of others felt the same way and soon HTM became a cool, cocky and bad heel. 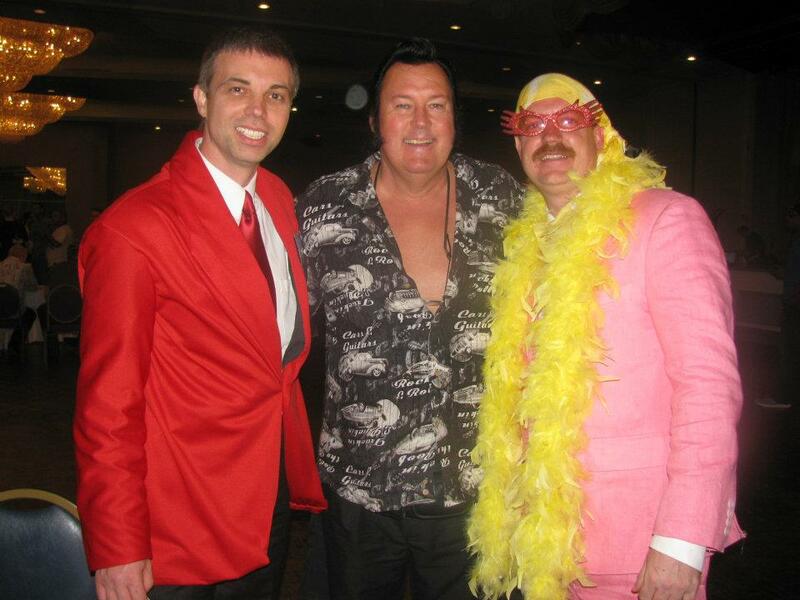 He was paired with manager Jimmy Hart. 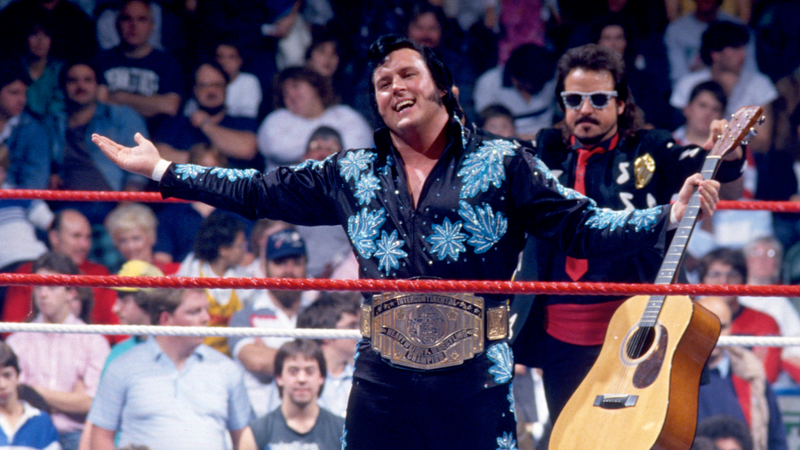 The two were perfect together and Honky took the Elvis impersonator gimmick to a whole new level. 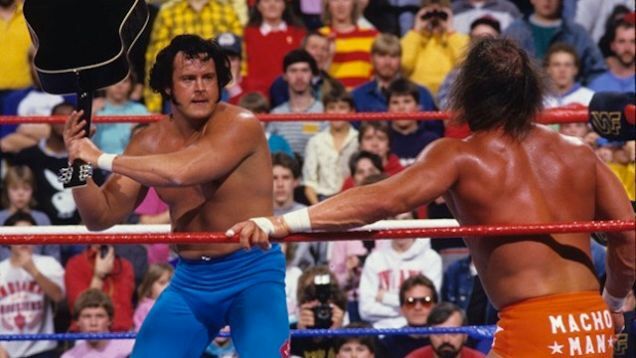 Not only did he shock me when he beat Jake "The Snake" Roberts at WrestleMania III, but also when he pinned Ricky "The Dragon" Steamboat for the Intercontinental title. I thought for sure it was a fluke win and the Dragon would soon reclaim the gold. 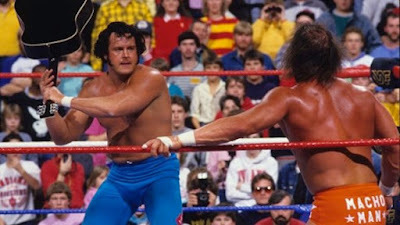 That didn't happen and HTM fought off challenges by "Macho Man" Randy Savage and Brutus "The Barber" Beefcake. He went on to become the longest reigning IC champion of all-time and still ranks among my favorite former champs. 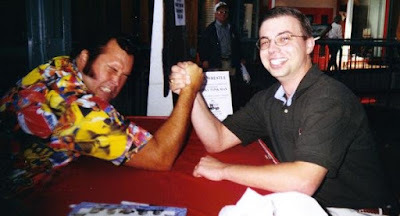 There's another reason I like Honky Tonk Man. He is the first wrestler I ever met in person. It was 1997 and I was out with a reporter at the TV station KMOV in St. Louis. HTM was playing the role of good will ambassador for WWF and handing out tickets for the upcoming In Your House: Badd Blood pay per view. We chatted briefly before I beat him in an arm wrestling "match" to win a free ticket. It was an awesome experience. Fifteen years later I met him again at WrestleCon in Miami. This time I was dressed like Vince McMahon and Chad was Jesse "The Body" Ventura. It was a much shorter encounter, but fun none-the-less. Earlier this year I had the pleasure of interviewing HTM for my podcast. He says he has a good relationship with the company and thinks he'll one day go into the WWE Hall of Fame. I'm hoping it happens in the near future.